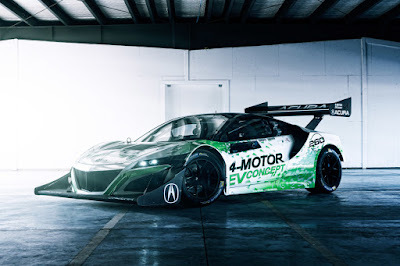 Acura obviously do not want to miss introduced their latest electric racing car. And reportedly the Acura's electric racing car was ready to be tested its toughness in the Electric Modified Class on the 2016 Pikes Peak Hill Climb. 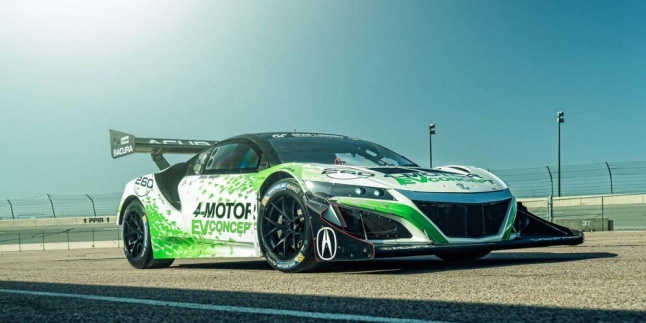 With the presence of these Acura NSX electric racing cars, certainly made the racing competition more exciting, the event was held on June 26, 2016, at the Broadmoor International Hill Climb Pikes. The NSX EV is powered by four electric motors that together form a sophisticated all-wheel-drive system dubbed the Electric Super-Handling All-Wheel Drive, a variation of the Sport Hybrid Super-Handling All-Wheel Drive setup of the stock NSX supercar. So it could burst the power more powerful for lauched the car on the racing track. Acura not yet released the complete specification of this electric racing car. But is expected with the presence of this car will be frightening another manufacturers. This Acura NSX electric car was three times more powerful than the CR-Z which was already proving its toughness in the racing event. 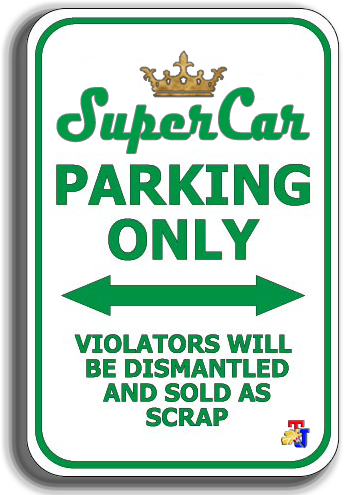 "We've set up this car since the last few weeks, until we get a better performance," said a spokesman for Acura.